Special Counsel Robert Mueller’s report on his 22-month Trump-Russia investigation is in the hands of the Justice Department, but Sunday’s release of a four-page summary from the US attorney general sparked renewed calls from Massachusetts’ congressional delegation for the entire report — and the evidence behind it — to be made public. “The American people deserve the truth. A summary is insufficient. 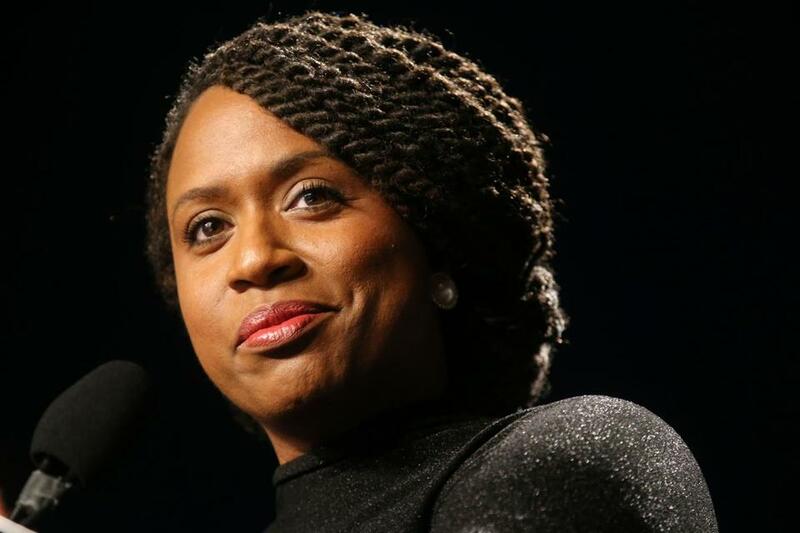 What we have seen today does not exonerate the occupant of the White House from obstruction of justice nor abuse of power,” US Representative Ayanna Pressley said in a statement to the Globe. “My colleagues, under the leadership of our committee chairs, will continue to do our due diligence to make sure that this White House is held accountable,” the Boston Democrat said. Mueller did not find evidence that President Trump, or any of his aides, colluded with the Russian government’s interference in the 2016 election, Attorney General William Barr told Congress in his summary letter Sunday. Mueller did not draw a conclusion on whether Trump obstructed justice, laying out evidence on both sides of the question. The long-running investigation led to indictments being handed down to more than three dozen people, including several members of Trump’s election campaign. But while Mueller did not recommend future indictments related to the case, his report fell short of declaring Trump did nothing wrong. “The Special Counsel states that ‘while this report does not conclude that the President committed a crime, it also does not exonerate him,’ ” Barr, who was nominated by Trump to serve as attorney general, told Congress in the letter. Barr wrote that he and Deputy Attorney General Rod Rosenstein have concluded that the evidence developed during Mueller’s investigation “is not sufficient” to establish Trump committed an obstruction of justice offense. Trump, on Twitter, celebrated Mueller’s findings as reported by Barr, though failed to describe its nuances. “No Collusion, No Obstruction, Complete and Total EXONERATION. KEEP AMERICA GREAT!” Trump tweeted on Sunday afternoon. Republican US Senator Mitt Romney of Utah, a former Massachusetts governor, said in a statement posted to Twitter that Mueller “has faithfully applied the rule of law despite accusations and fears to the contrary” and called it “good news” that neither Trump nor his campaign colluded with the Russian government. “It is now time for the country to move forward,” Romney said. But it was clear Sunday that reverberations from Mueller’s investigation will continue to roil the nation. While Barr will ultimately make the call on how much of Mueller’s report will be made available to Congress and the general public, Democrats said they will press for more details from the investigation. US Representative Stephen Lynch, who serves on the House Oversight and Reform Committee with Pressley, said he remains “keenly interested” in reviewing the full text of Mueller’s report and its supporting documents. Mueller had a “very narrow mandate” to investigate possible collusion between the White House and Russia, but the oversight committee “retains unlimited jurisdiction and may consider the available evidence beyond the collusion context,” the Boston Democrat said in a statement Sunday. Massachusetts Attorney General Maura Healey, in a statement, said the American people have “a right to far more transparency” from their government. “The public should get the full Mueller report and Congress should have all the materials from this investigation,” she said. Other members of the state’s all-Democratic delegation also demanded public access to Mueller’s report in separate statements Sunday. US Representative Joseph Kennedy III of Newton said every American deserves to know “how our country was attacked” and how leaders responded. “Only then can we restore our collective confidence in our system,” Kennedy said on Twitter. US Representative James McGovern of Worcester blasted Trump Sunday, and said a “pervasive culture of corruption continues to exist at the highest levels” of the president’s administration. Earlier this month, Democrats and Republicans in the House voted 420-0 to call for the release of Mueller’s full report. US Senator Elizabeth Warren, who has launched a presidential campaign, cited that vote Sunday in calling for Barr to make the report available.